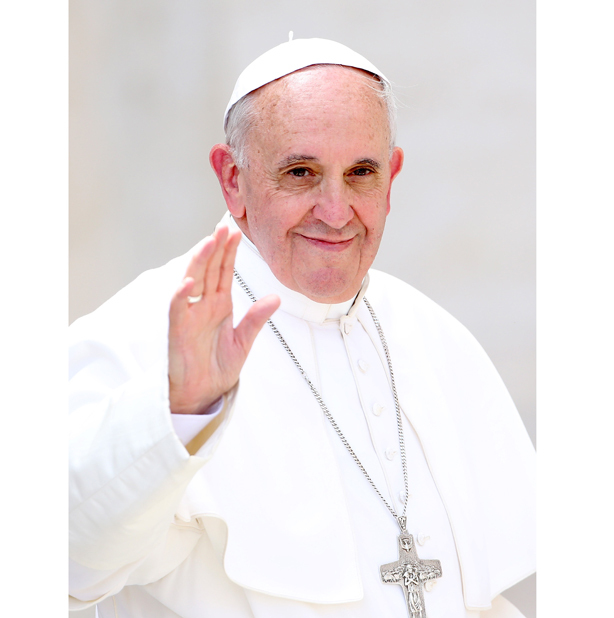 Philadelphia, PA – Less than two weeks away from his highly anticipated visit to Philadelphia, representatives for Pope Francis have announced the leader of the Catholic world decided to abruptly cancel his visit. The decision came Tuesday morning, Vatican representatives said, but a release to the press was not made available until today. However, the decision was made much more clear today, as Pope Francis made a public comment to the press from the Vatican. “Frankly, I can’t see myself spending several days in a city where a football team, which many have predicted to represent the NFC in this year’s Super Bowl, can’t even defeat a team they’re favorited against by 3 points on the road. The Falcons were 6-10 last year, it’s unfathomable that the Eagles did not win on Monday night. They couldn’t win by a measly three points?” an obviously irritated Pope Francis said. “It’s pathetic. Sam Bradford looked like a lost sheep scared to be away from his flock in the first half. And do NOT get me started on Byron Maxwell. $63 million dollars for that performance? May god have mercy on his soul. I’m not wasting my time in that city any longer. Maybe I’ll go up to New England instead, now there’s a city that knows how to win,” Pope Francis said.